• Steven Souza will supposedly miss four-to-six weeks with a broken wrist. Now news comes out that Stanton will take longer to return than originally estimated. The recovery for the broken hamate bone in Giancarlo Stanton’s left hand is taking longer than initially expected, the Marlins’ All-Star right fielder admitted prior to Saturday night’s contest against the Padres. “Definitely slower,” Stanton said of his progress from June 28 surgery. If I can come up with a reasonable return estimate, I am not sure why teams can’t. • I am not sure which Matt Moore people were expecting him to be when he returned from Tommy John surgery. People seemed to be too fascinated by the 2.70 ERA in 10 IP in 2014. Or was it his 2013 season when it was walking 12% of the batters he faced? He has never really been a good pitcher since the minors and he had a 94 mph fastball. 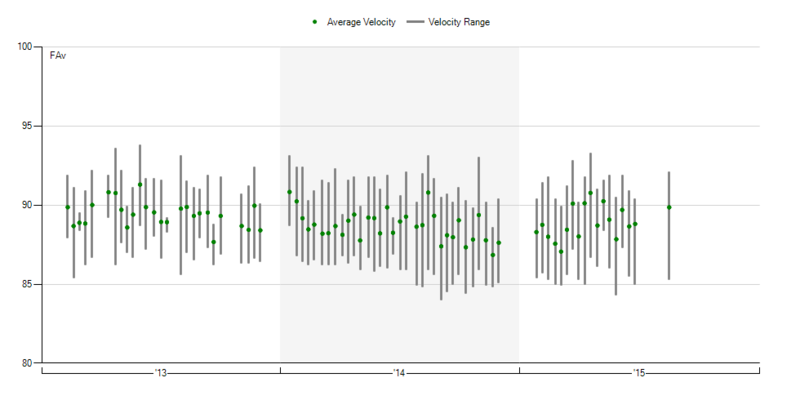 It is at 91 mph in 2015. He won’t get back to those pre-injury unless he really picks up some speed or completely re-invents himself as a junk ball pitcher. • Rick Porcello will miss some time because of a strained tricep muscle. • A.J. Burnett may have thrown is last pitch ever. He may have a significant elbow injury and could easily miss the rest of this season. A.J. Burnett returned to Pittsburgh for his final season because he wanted to write a triumphant ending to a 17-year career. He may have unwittingly written a legendary exit. Placed on the disabled list following a Thursday night outing when the pain in his right elbow became “a little more than I expected, and more than I could tolerate,” Burnett has an appointment with Pirates team doctors on Monday in Pittsburgh. He expects the diagnosis to be one of two things. • Michael Pineda is finally on the DL after almost making it the entire year without a DL stint. Yankees manager Joe Girardi said that Pineda’s exam did not show damage to the elbow ligament. • Corey Dickerson is back on the DL after fracturing a few ribs after trying to make a diving catch. • Justin Turner will miss a few weeks as he is dealing with a skin infection on his leg. Turner was in the emergency room Tuesday to treat the infection with antibiotics but was released from the hospital before the end of Tuesday’s game against the A’s. Dodgers manager Don Mattingly didn’t expand on any diagnosis and didn’t have an explanation as to how the infection occurred. • Devon Travis re-injured his shoulder which cost him six weeks earlier in the season. Travis aggravated his left shoulder during an at-bat against the Phillies on Tuesday night. It’s the same injury that caused him to miss approximately six weeks earlier this year, but the hope is this one isn’t as serious. • Tim Hudson is on the DL with a strained shoulder. Official now: Leake added to roster, Hudson to DL with shoulder strain. Heston will pitch vs. Hamels tomorrow. Leake makes SF debut Sunday. • C.J. Wilson may miss the rest of the season after getting some bone spurs removed from his elbow. The veteran left-hander revealed Saturday morning that he has loose bodies in his elbow that have restricted his range of motion to the point where he can no longer be an effective pitcher. Wilson has been managing the issue all season, getting fluid drained from his left elbow four separate times, and he will now likely opt for surgery to remove bone spurs, a procedure that is expected to rule him out for the rest of the 2015 season. • Mike Wright will likely spend the minimum days on the DL with a strained calf. • Don’t be surprised if Jason Kipnis lands on the DL today. • And Coco Crisp could come off the DL today. • Journeyman Nate Adcock will likely not pitch until the 2017 season after needing Tommy John surgery. 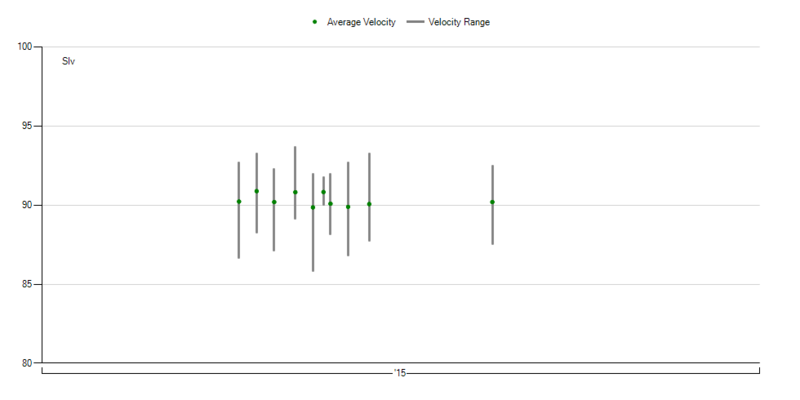 • Aaron Harang’s average fastball velocity is fine. • Williams Perez’s is also fine. We hoped you liked reading MASH Report (8/3/15) by Jeff Zimmerman! So, there’s AJ Burnett update and it’s “just” a flexor strain. What’s the confidence level in him coming back in 4 weeks? If he does come back, what’s the confidence that he’ll be any good? The rule of thumb is a week of throwing (up to a month) for each week he needs to rest. To make the four-week turn around, he will need to start throwing in 2 weeks. I could see him push it to get back for the playoffs.